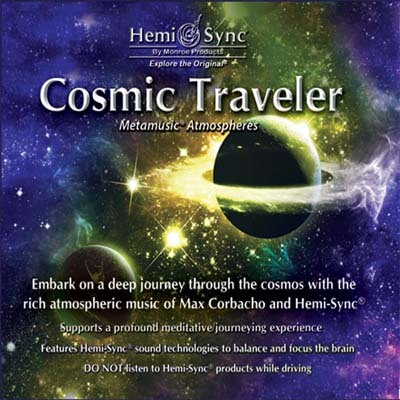 Embark on a deep journey through the cosmos with the rich atmospheric music of Max Corbacho and Hemi-Sync®. Drift into dimensions of space and time with the atmospheric soundscapes of Max Corbacho. Hemi-Sync® frequencies are expertly blended to carry you into a very deep, expanded state of consciousness. Enter into this powerful listening experience with an intention, and let go as you are carried into other realms of perception. Instruments: digital and analog modeling synthesizers, samplers and computer sound processing. Crickets and night sounds captured live in the county of Lleida, Spain. Length: 60 min.